It’s hard to imagine that the sixth installment of a franchise in the spy/action/thriller genre would be the best in the series, but somehow ‘Mission: Impossible -- Fallout’ does the impossible. Not only does it make a valid argument for being a series’ best, but it also manages to raise the bar for all action films from hereon. Playing off as a direct sequel to ‘Mission: Impossible -- Rogue Nation’, the sixth installment begins without much fanfare. There’s a short prologue before Ethan Hunt (Tom Cruise) receives his next mission and once the threat has been identified, the game is on. Unlike other action-spy-thrillers, like James Bond or the Jack Ryan series, the ‘Mission: Impossible’ series seems unaffected by real world geo-politics and can seem to thrive with the ambiguity of its shadow criminal organizations. 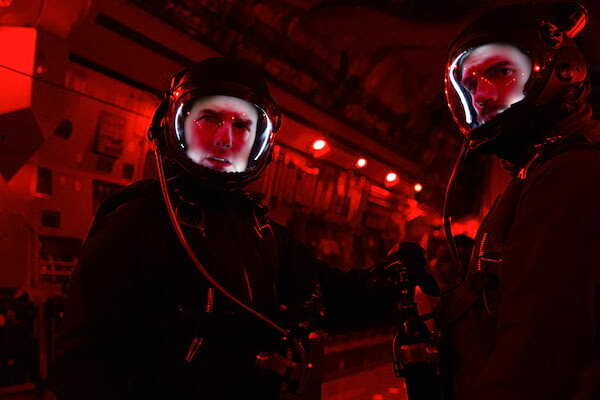 The mentioned other franchises must try and stay relevant and current, but ‘Mission: Impossible’ has always operated on the level of the hyperreal and almost cartoonish. And that is part of the appeal of the series, because all that’s important is that the threat is identified, the mission requires feats of the impossible, and that Ethan Hunt and his team are present to beat all the odds with their gadgets, quick wits, and physical stamina and endurance. 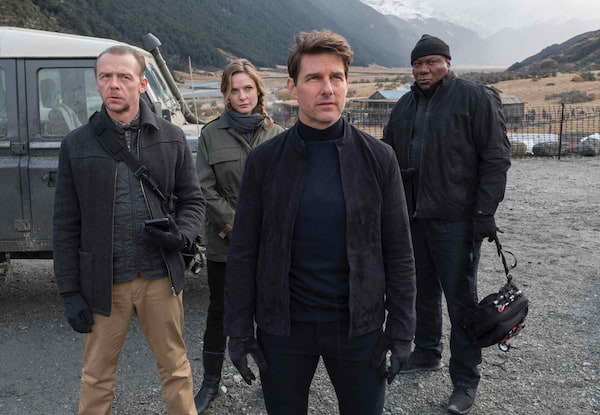 ‘Mission: Impossible -- Fallout’ is touted by early reviews as to being the best in the series, because for the first time since ‘Mission: Impossible III’ has the franchise gotten personal for Hunt and his team. After six movies, the movie is unafraid to unearth from the past installments for emotional resonances to heighten the tension, and to make a callback to some previously done stunts to reinforce the IMF team’s sheer range of talents and skills. Like any Tom Cruise movie, we can expect some of the best and most inventive action sequences around, but writer and director Christopher McQuarrie showcases a creative vision to reinvigorate the genre with some unbelievable stunts that will blow your mind at the cinema. The action sequences feel fresh and new. They are so bold and brash that you cannot believe they just did what they did, and it’s executed and captured so well that you think it actually happened--and there’s very little time to notice if they used CGI or not. And knowing it’s a Tom Cruise film, it’s probably not, and he most definitely did his own stunts. With excellent pacing -- you do not at all feel the two hour and twenty seven minute running time -- you are practically breathless throughout the film. It never stops moving and even on the quieter moments, the tension is high that you’re still on the edge. It’s quite an enjoyable feat that it makes for a grand viewing at the cinema. This is Tom Cruise at his element and it’s what he does best. I expect nothing more from him than what he delivers, but it’s the ladies that really shine here from the returning Rebecca Ferguson (from ‘Mission: Impossible -- Rogue Nation) to Michelle Monaghan (from ‘Mission: Impossible III’), to newcomer to the series Vanessa Kirby, who is absolutely delightful as a woman known as The White Widow. 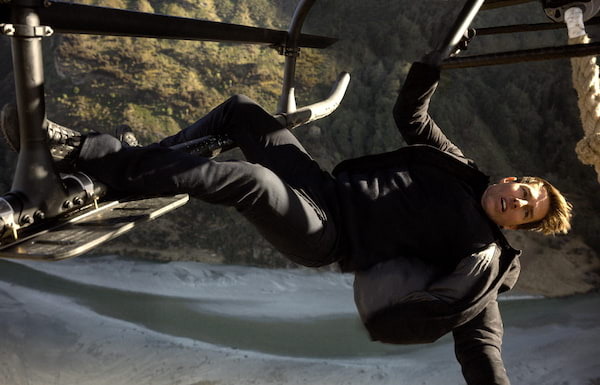 For a franchise, the ‘Mission: Impossible’ series seems to get better with every new film and as long as Tom Cruise and company keeps us on our toes and is unafraid to raise the bar, we won’t care how insane the plot lines may get and how many surprising twists they throw at us. We will keep coming back for more, because it’s just way too much fun.